Michael Myers. 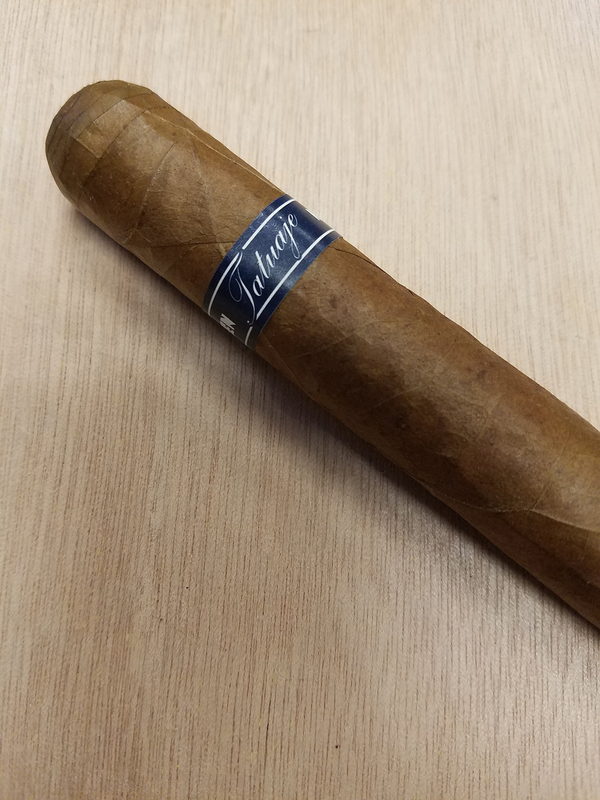 Butcher knife-wielding murder machine out of John Carpenter's terrifying imagination, is the subject of this year's Monster Series cigar from Pete Johnson and Tatuaje. I was lucky enough to get a box of these last week and I have already plowed through a couple of them so I figured I better review one before I destroy the whole box. Let me start off by saying that Halloween, the 78 film, is one of my favorite horror flicks....A masterpiece....So I was super excited to see if Pete created a cigar worthy of such a great film and character. Let's get to it, shall we? Construction: This is a very pretty cigar. Beefy and very well constructed, Michael has a nice milk chocolate colored Ecuadorian Habano wrapper. A few lumps here and there but otherwise no complaints. The band this go around is a navy blue - almost black. Reminds me of the coveralls Michael wears in the original film. Pre-light Aroma and Draw: A mild smelling cigar, Michael gives off notes of leather, sweet tobacco, and a slight sour note under the nose. Light and Burn: Absolutely spot on perfect. Tasting: Michael starts out very light. Touches of leather and some mild pepper start things off. There is a dry character to the finish as well. The core is sweet tobacco and leather. Oak leaves, charred wood like a camp fire, and a very faint spicy note add complexity through the first third. It actually stings my lips a little too. The middle of the past Monsters always showed how young these cigars are. The JV13 needed a few months before it smoothed out. The Hyde needed a little less to really turn into something special too. It's a rule of thumb that Monsters get better the longer they rest and I think the Michael will also continue to develop in your humidor. A mild mineral note creeps into that leathery core. Oak, more leather, some earth, and that crazy camp fire note flit around each other through part 2. Strength is a solid medium. The last notes I get before the end of the middle are paper and hickory. While not as in your face as the Leccia Black or KFC, the fire roasted tobacco note is definitely there. Like the movie, the Michael kicks into high gear in the final third. Strength creeps up to a nice full bodied smoke with notes of graham cracker, faint vanilla, and sour apple mingle with the now hefty oak and leather core. This is one you can smoke to the nub. Final Thoughts: I smoked one of these right out of the box the day it was put in my hands and it had a very raw feel. After a week of rest, I can honestly see a huge difference. It is easily the most unique Monster so far. It has a strong fall feel to the flavor profile, like the Halloween movie. It brings to mind leaves, fire, smoke, and cool crisp weather. 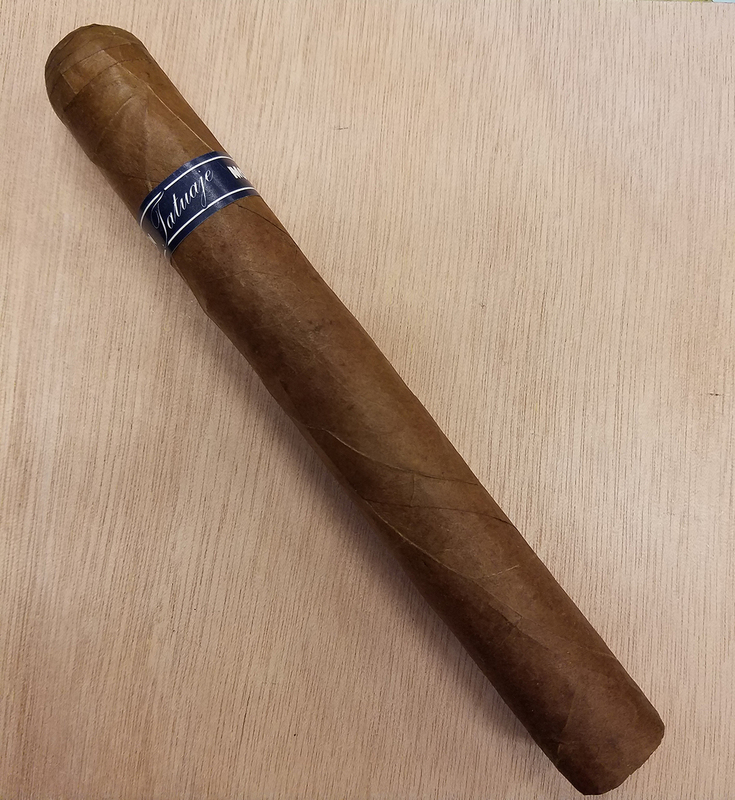 An absolutely perfect fall cigar to be sure, Michael is worth seeking out. Monster Series cigars are often hard to find and fly off the shelves, so if you come across a box, don't hesitate. Highly recommended. I know next year is the last Monster...but I always list ideas for Pete...in case he decides to start the series up again. Here's my two ideas. A culebra named The Thing after the John Carpenter movie....and a Candela after the Creature from the Black Lagoon. I mean, if you are going to make Monster cigars, go full Monster. You can barely tell, but that is a navy blue band...not black. NOTE: Your comment will not appear until the creator has reviewed and approved your your comments.